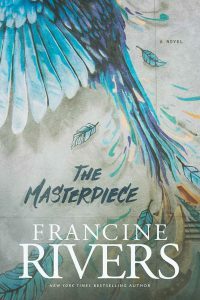 Carol Stream, Ill.—February 16, 2018—The Masterpiece, Francine Rivers’s riveting and highly anticipated tale of redemption, grace, and love, released on February 6, 2018, from Tyndale House Publishers and quickly skyrocketed to bestseller standing. In its release week, the title debuted at #6 on the Publishers Weekly Bestsellers list (based on book sales data from Nielsen BookScan), #15 on the New York Times Combined Print & E-Book Best Sellers list, and #16 on the USA Today Best-Selling Books list. In her new novel, the widely acclaimed Rivers returns to her romance roots with a probing tale that reminds us that mercy can shape even the most broken among us into an imperfect yet stunning masterpiece. She delivers big-canvas storytelling at its finest, inspired by Ephesians 2:10—“For we are God’s masterpiece. He has created us anew in Christ Jesus, so we can do the good things he planned for us long ago.” In bringing this promise to life, Rivers employs two broken characters with gritty and difficult pasts to demonstrate the healing work of the Savior. Successful LA artist Roman Velasco appears to have everything he could possibly want—money, women, fame. Only Grace Moore, his reluctant, newly hired personal assistant, knows how little he truly has. The demons of Roman’s past seem to echo through the halls of his empty mansion. But Grace doesn’t know how her boss secretly wrestles with those demons: by tagging buildings as the Bird, a notorious but unidentified graffiti artist—an alter ego that could destroy his career and land him in prison. New York Times bestselling author Francine Rivers has published numerous novels—all bestsellers—and she has continued to win both industry acclaim and reader loyalty around the globe. 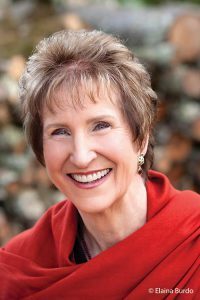 Her Christian novels have been awarded or nominated for many honors, and in 1997, after winning her third RITA Award for inspirational fiction, Francine was inducted into the Romance Writers of America Hall of Fame. In 2015, she received the Lifetime Achievement Award from American Christian Fiction Writers (ACFW). Francine’s novels have been translated into over 30 different languages, and she enjoys bestseller status in many foreign countries. She and her husband, Rick, enjoy spending time with their children and grandchildren. Visit Francine’s website at www.francinerivers.com.